This buckler is available with 12" or 15" diameter and 14 gauge steel construction. 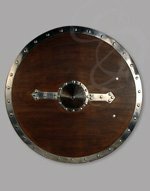 The 12 inch buckler uses a fluted design and the 15 inch buckler a plated design. 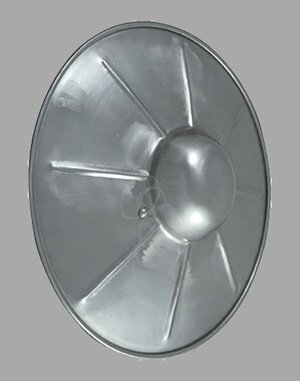 The handle is constructed from steel tube and is riveted to the main body. The buckler was one of the longest lived of all arms, used from the 12th century all the way to the 18th century. Its small size allowed it to be both maneuverable and mobile.